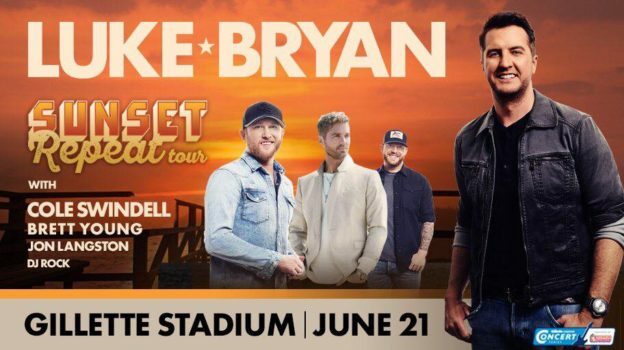 Certainly the man Variety called ‘Country music’s only true long-term stadium act’ and The Wall Street Journal deemed ‘The New England Patriots’ Other Star’ hit the stage both nights intent on rocking the packed stadium with everything he had. By the time guitarist Kenny Greenberg swooped in to a vamp on Bachman Turner Overdrive’s ‘Taking Care of Business’ in the show opening ‘Beer In Mexico,’ the East Tennessee songwriter/superstar was covered in sweat from racing from one side of the 40 foot strut to the other. Throwing himself at the music, the audience cheered – often for 40, 60, 90 seconds between songs – and sang the songs back with a fervor that pushed the energy even higher. 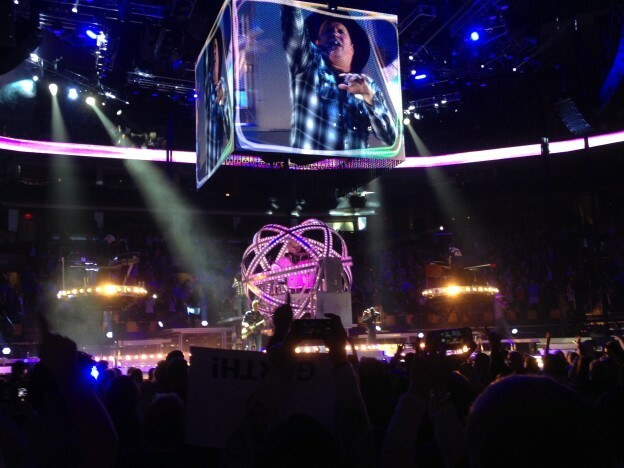 Invoking Robert Kraft’s philosophy that sports, music and traditions bring people together, the only country artist on Pollstar’s Mid-Year Top 10 Tours thanked the assembled audience for allowing him to become one of their traditions. Sharing the love of sports and music, Chesney closed both nights with ‘The Boys of Fall,’ his ode to the honor code of high school football players everywhere. He also played ‘(She Comes from) Boston’ both nights. Saturday, he brought millionth ticket purchaser Karen Duggan on stage, explaining that she represented each and every one of them before performing the song about the island dwelling expat to the capacity crowd. This entry was posted in Home page blog and tagged Gillette Stadium, Kenny Chesney, Trip Around the Sun on August 29, 2018 by New England Country. 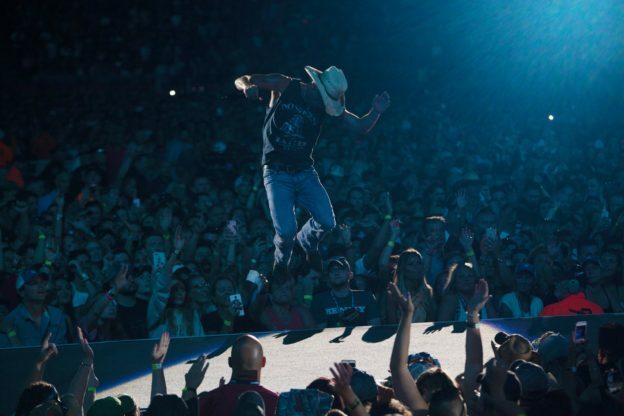 In case you’ve been living under a rock, country music superstar Kenny Chesney is returning to Gillette Stadium in Foxborough, Massachusetts this weekend. This is his 12th summer in Foxborough and Friday and Saturday will mark his 18th and 19th shows at Gillette Stadium. The love affair between Kenny and the fans in New England is real. It’s well documented. 19 shows over 12 summers is an awesome stat but that’s not what No Shoes Nation will be celebrating this weekend. 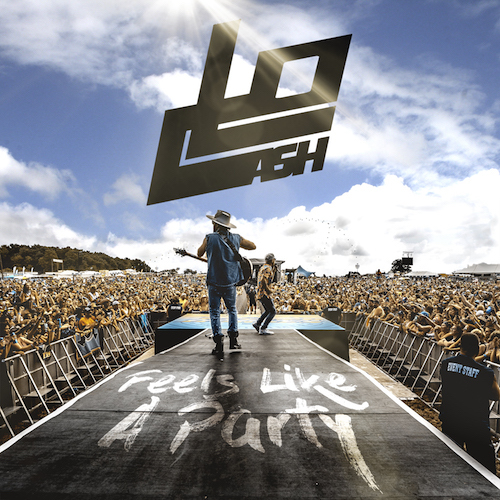 This weekend also marks 1,000,000 fans purchasing tickets to see Kenny Chesney at Gillette. ONE MILLION (cue Dr. Evil)! And over these 12 summers playing his countless hits in Foxborough, Kenny has formed great relationships with people in the Patriots organization. So to mark this great feat of 1,000,000 tickets, the Patriots organization put together the touching tribute featuring members of the team and ownership like Tom Brady (aka The Goat), Rob Gronkowski, Donta Hightower, Bill Belichick, Robert Kraft and more. Check it out below. We know you’ll get goosebumps watching it, just like we did. And as the great Tom Brady says… LET’S GO! 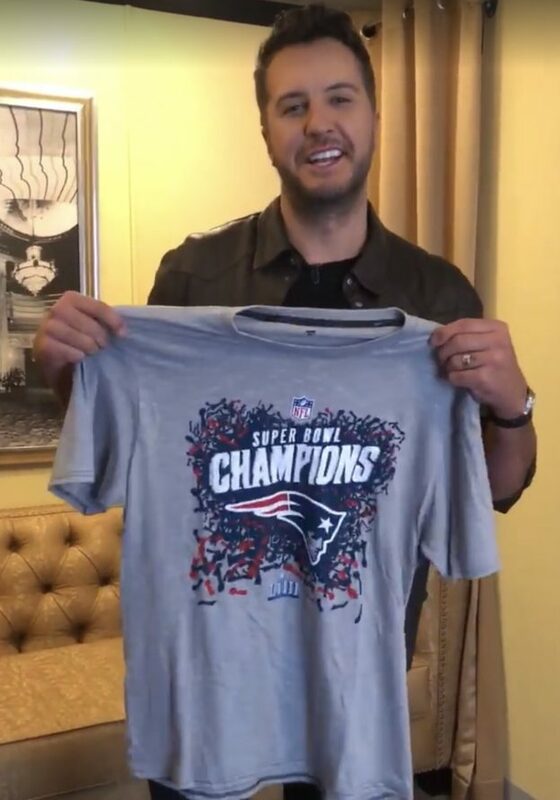 This entry was posted in Home page blog and tagged Gillette Stadium, Kenny Chesney, No shoes nation on August 24, 2018 by New England Country. New England Country Music 2018 artist to watch Brandon Lay has had a busy spring. 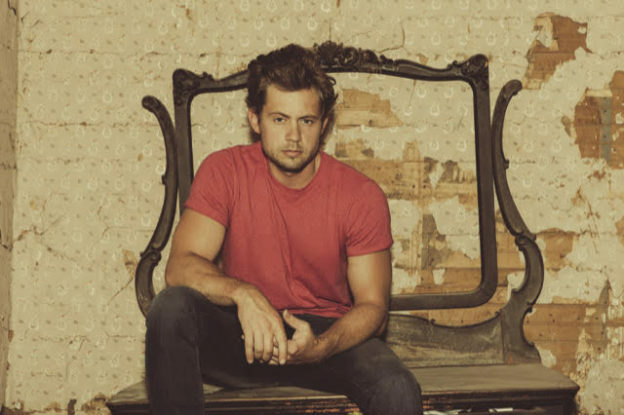 He has played several stadiums as part of Kenny Chesney’s 2018 Trip Around the Sun tour which will continue all summer, leading up to the seemingly annual end-of-summer party at Gillette Stadium, and also put out his new single ‘Yada Yada Yada.’ Brandon was kind enough to take some time to talk to us as he geared up to play AT&T Stadium in Dallas this past weekend. One song fans have been hearing at his live shows is his new single ‘Yada Yada Yada’ which to us sounds like a warm breeze feels. It’s the perfect song for summer. Brandon says the song is “the other end of the spectrum” as far as his writing and style from ‘Speakers Bleachers and Preachers.’ “Since SBP was so literal with the way we wrote it, I wanted something that was kinda the opposite of that and a little unexpected. I’ve been in Nashville while writing songs and I’ve gotten to write with a lot of other good writers. Coming out of the gate we wanted something that gives that sense of background and we just decided to follow it up with something that’s just fun and didn’t try to move the world.” The song really hits the spot as a carefree summer song that we know we’ll be whistling along to all summer. Of course the highlight to any New Englander’s summer is the 2 nights Kenny Chesney brings his tour to Gillette Stadium. Last year Brandon played a pregame party at Toby Keith’s at Patriot Place but was able to check out both nights, something he described as being “unlike any other” and he can’t wait to be a bigger part of it this year. In addition to 2 nights at Gillette Stadium in August, Brandon will be playing a free show at Mohegan Sun’s Wolf Den on June 7th. You can follow Brandon on Twitter and Instagram and be sure to check out brandonlay.com for a full list of tour dates and info on his upcoming debut album due later this year. This entry was posted in Home page blog and tagged Brandon Lay, Gillette Stadium, Kenny Chesney, NECM, New England Country Music, Trip Around the Sun, Yada Yada Yada on June 5, 2018 by TimNECM.